For use with engine or transmission coolers, this complete kit includes an oil temperature gauge, 1/8" NPT sensor and an adapter for pan coolers. 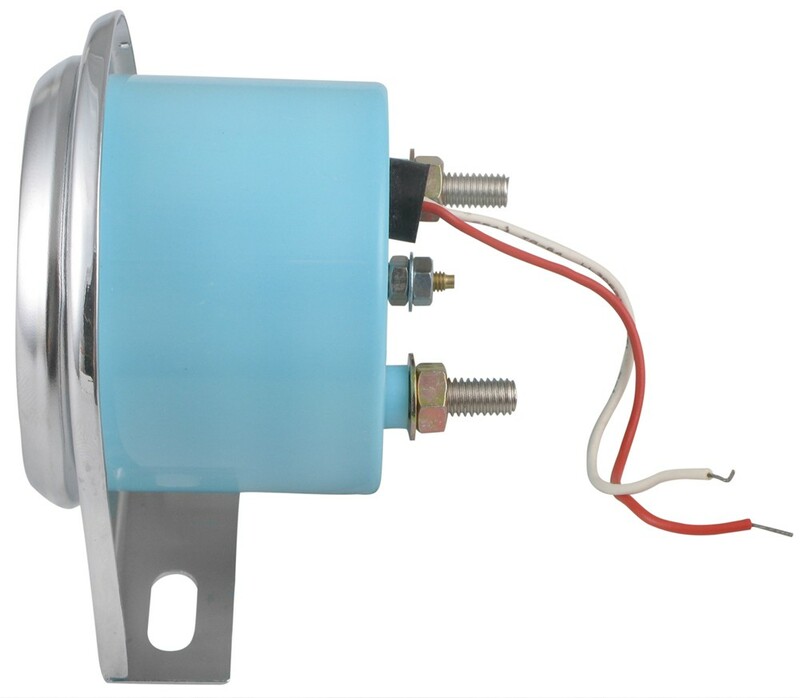 Call 800-298-8924 to order Derale accessories and parts part number D13009 or order online at etrailer.com. Free expert support on all Derale products. 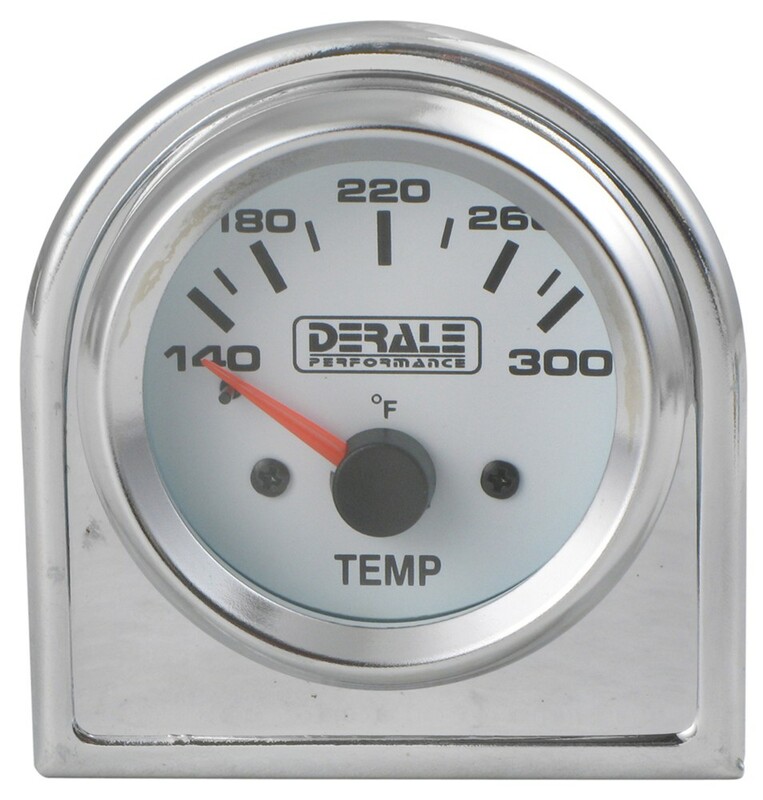 Guaranteed Lowest Price and Fastest Shipping for Derale Temperature Gauge Kit for Transmission or Engine Oil. Accessories and Parts reviews from real customers. For use with engine or transmission coolers, this complete kit includes an oil temperature gauge, 1/8" NPT sensor and an adapter for pan coolers. Order: RelevanceNewestRating - High to LowRating - Low to High For use with engine or transmission coolers, this complete kit includes an oil temperature gauge, 1/8" NPT sensor and an adapter for pan coolers. Thanks for reaching out. I love the product. The pan combined with the gauge to track the temperature of the fluid has given me invaluable peace of mind. Believe me, if I am ever in need for products for any of my vehicles, your site will be one of the first ones I check. The absolute easiest way to monitor the transmission fluid temperature of your 2000 Dodge Ram is to use a monitor like the part # EP84130 which taps into the OBD-II signal to display the temperature. Otherwise you could use the part # D13009 as an analog gauge but it will require an install that is a bit more in-depth. I attached a picture that details how it will install. 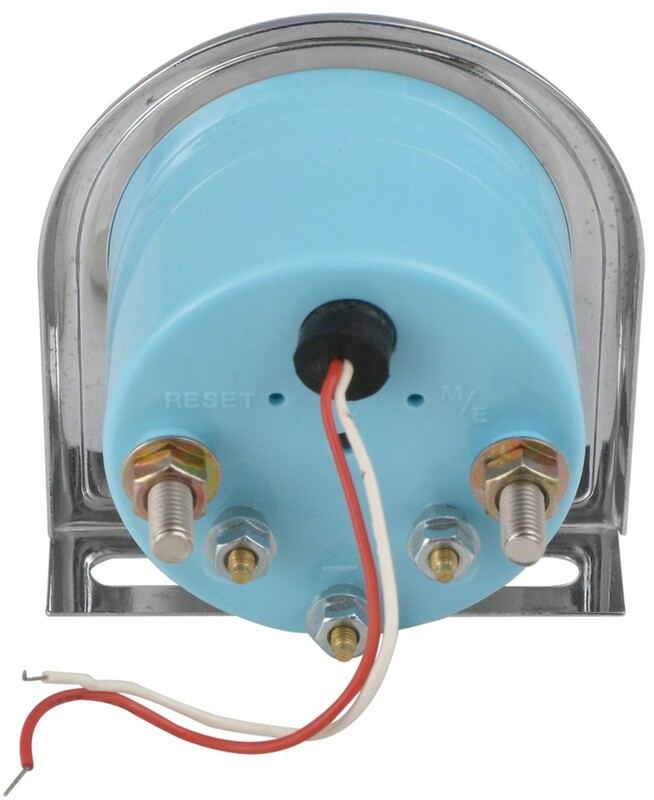 The + sign on the right-hand terminal on the Derale Transmission Temperature Gauge # D13009 is for connection to an ignition-controlled 12V power source. The middle terminal connects to a chassis ground. Both connections require 18-gauge wire. The left-hand "S" terminal is for the sensor, as you noted, and its wire can be as long as needed (within reason!) to reach from the sensor to the gauge. The written installation instructions are linked at right for your reference. What we have that could work for you would be the Derale Temperature Gauge Kit # D13009. This can be used with engine oil and would work well for you. You would want to remove your oil pan to install this. The picture I attached shows how just the temp sender would install. 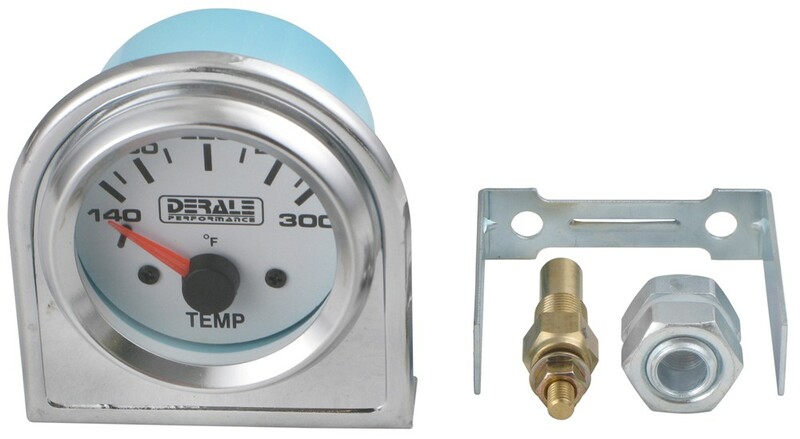 The Derale Temperature Gauge Kit, # D13009, includes the temperature sender adapter. I have attached a photo showing how the adapter and temperature sender will install on your oil pan. The adapter will insert into your transmission oil pan with the nylon washer and tightened to the pan with the jam nut. Once the adapter is installed, then temperature sender will thread into the adapter. The Derale transmission cooler pan, # D14208, is listed as a fit for the 1995 Ford F-350 with the 7.3 liter engine and the E4OD transmission. You may also be interested in a temperature gauge kit # D13009 so you can monitor the transmission fluid temperature. The temperature recommended for optimum life and performance is 160 to 200 degrees.